This sink is one of the largest now available and its completely reversible so you can use the fluted or the plain side or even change your mind later.Create a breathtaking focal point in your kitchen with this elegantly crafted farmhouse fireclay apron kitchen sink. Whitehaus Collection fireclay sinks are made of high quality clay and a traditional farmhouse design sure to transform any kitchen into a beautifully designed masterpiece. US Patend No. D627449 S. Reverisble series fireclay sink with a smooth front apron on one side and a fluted front apron on the opposite side. 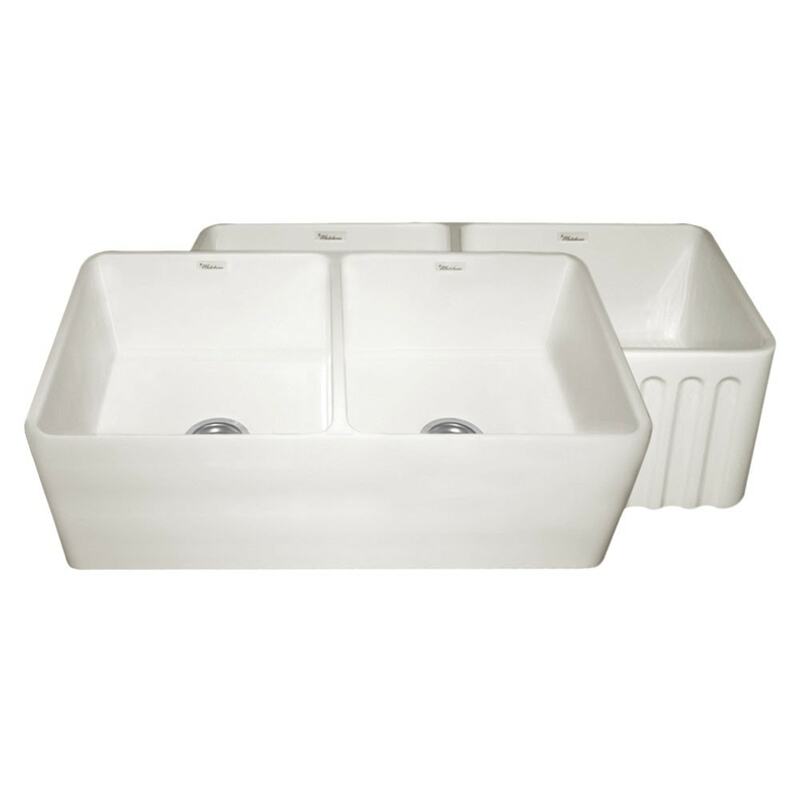 This fireclay sink is compatible for use with a garbage disposal. The drain size is standard 3 1/2" and the sink is durable enough to use with a disposer, no problem. This sink has an extra thick bottom so it requires a drain with a longer screw than normal. We recommend the Whitehaus RNW35L (brass) or RNW50L (plastic) strainers and the WH202 waste disposer trim. Matching grid model WHREV3318 is also recommended.